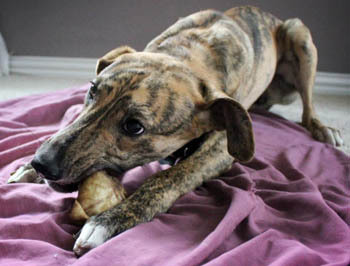 Raisin is a small brindle female greyhound mix who is approximately 10 months old. 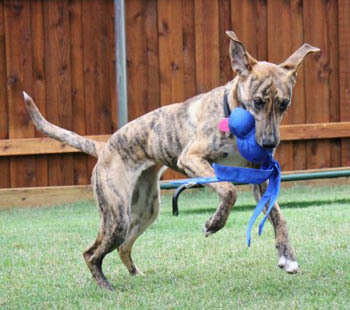 She was turned into the Amarillo shelter and from there joined the GALT family. 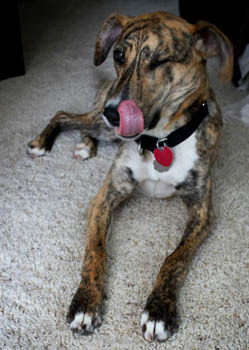 Raisin weighs about 25 pounds right now, and will likely not get much bigger than about 35 pounds. 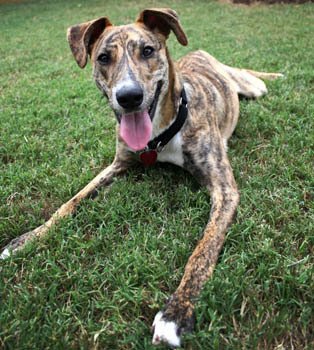 This smart girl is just waiting to charm you! Raisin is not cat tolerant, but gets along well with small dogs.